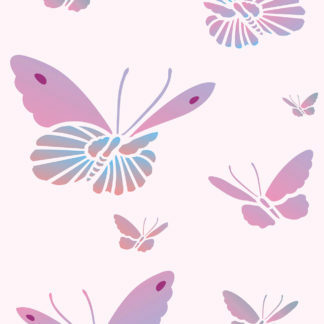 The Little Butterflies Stencils are two different sets of small butterfly stencils. 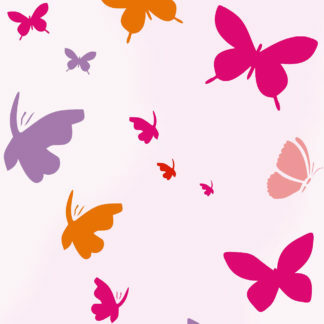 Little Butterflies Stencil 1 and Little Butterflies Stencil 2 can be used individually or together to create a host of pretty butterfly arrangements and themes. 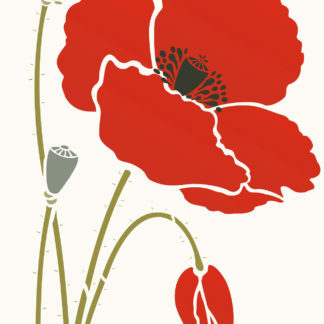 Use on furniture, accessories, clothes, cushions and on greetings and invitiation cards. 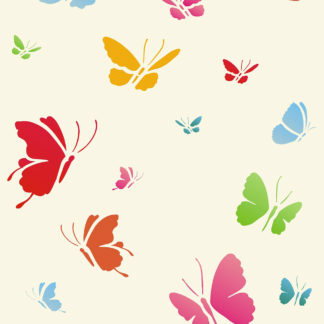 Or use as groups on walls and fabrics to create random flying butterfly effects. See size and layout specifications below. 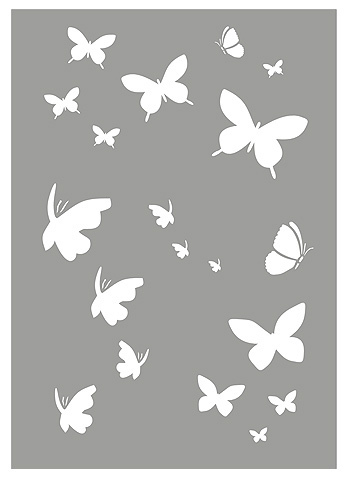 Little Butterflies Stencil 1 – this stencil comprises 19 little butterflies grouped together on one sheet. 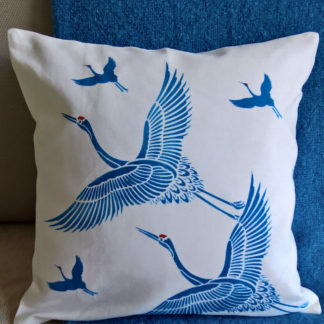 Perfect for adding pretty touches to furniture, accessories and cards. 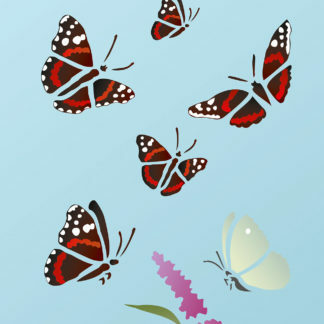 Use this design to easily create the look of flying butterflies and to create butterfly mobiles and bug murals! Above – the Little Butterflies Stencil 1 in multiple pretty colours of Plum Blossom, Damask Rose, Cerise and Seville Orange Stencil Paints. 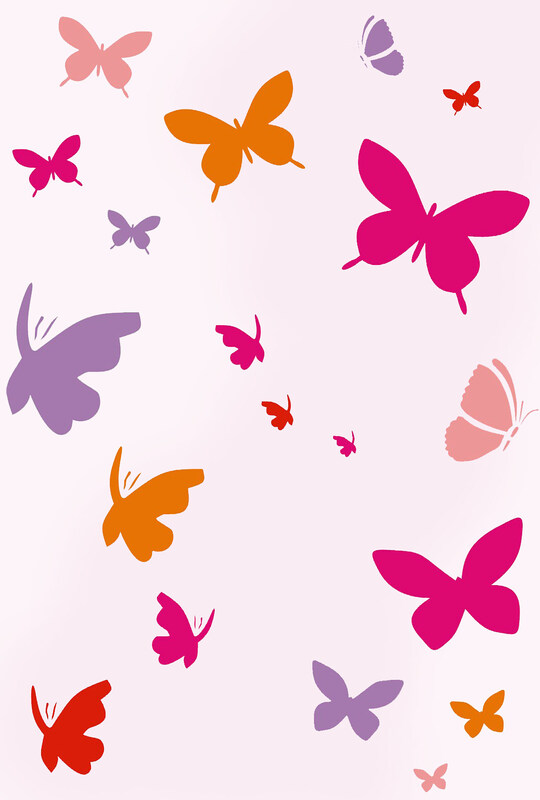 Above – Little Butterflies Stencil 1 repeated in horizontal rows in bright tones. 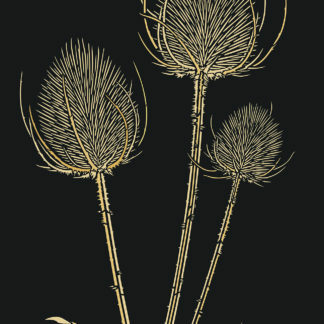 The same colours are used in each repeat to create a uniform effect. 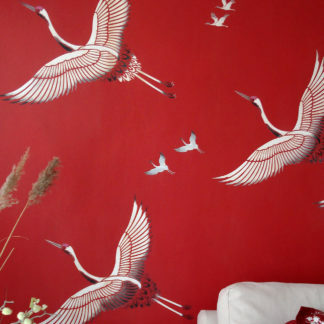 Shown in Very Berry, Cerise, Plum Blossom, Summer Skies and Ash Green Stencil Paints. 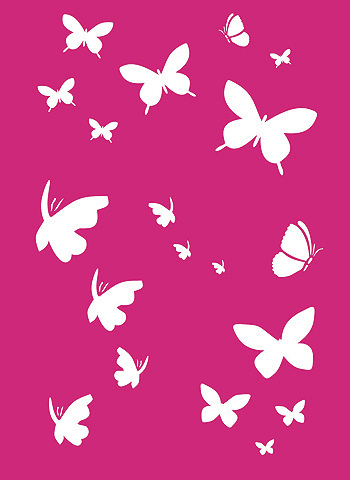 Above – the Little Butterflies Stencil 1 in Ice White Stencil Paint on a rich pink background. 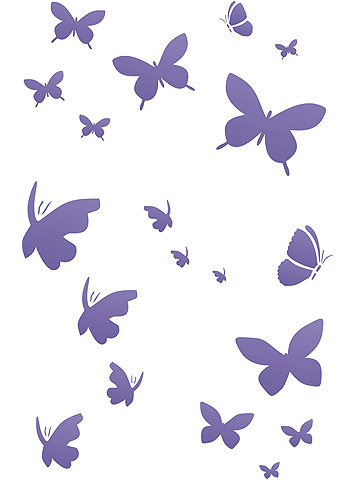 Above – Little Butterflies Stencil 1 in French Lavender Stencil Paints. 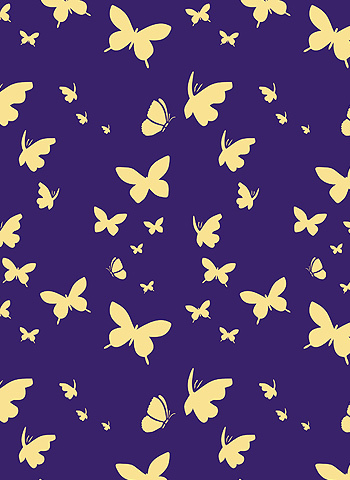 Above – Little Butterflies Stencil 1 repeated horizontally and stencilled in Evening Primrose Stencil Paint on a rich purple-blue background. 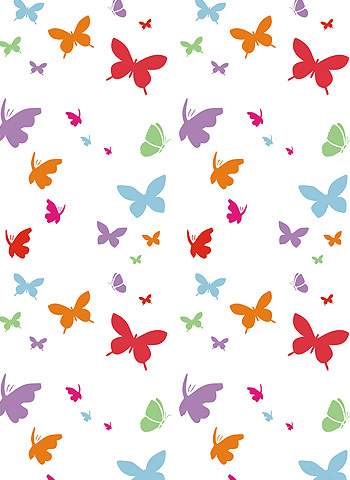 19 different sized butterfly motifs of four different butterfly designs. Largest butterfly motif is up to 6cm (2 1/4″) wide, smallest is 8mm (1/4″) wide. Sheet size up to 21cm (8 1/4″) wide x 29.5cm (11 1/2″) deep. Illustrated below.